So, I got the "5 Weekday Challenge" on Facebook from my friend. 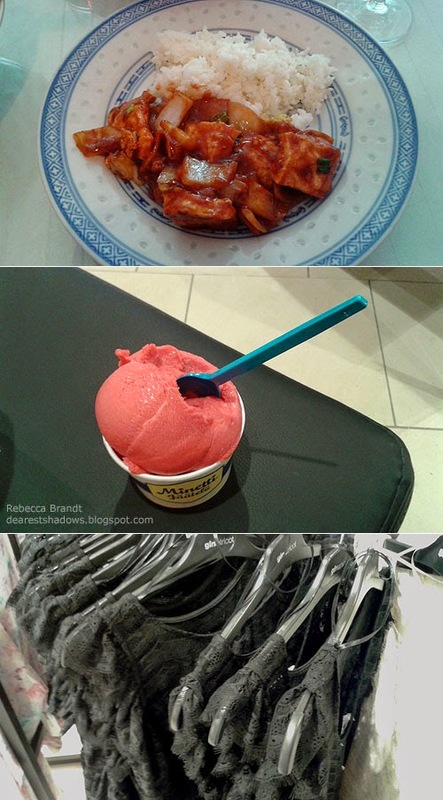 The idea is to photograph your daily life for 5 days and put the photos on the internet and challenge a friend every day. Since most of my Facebook messages shows only to my friends, I decided to post my pictures in here also. 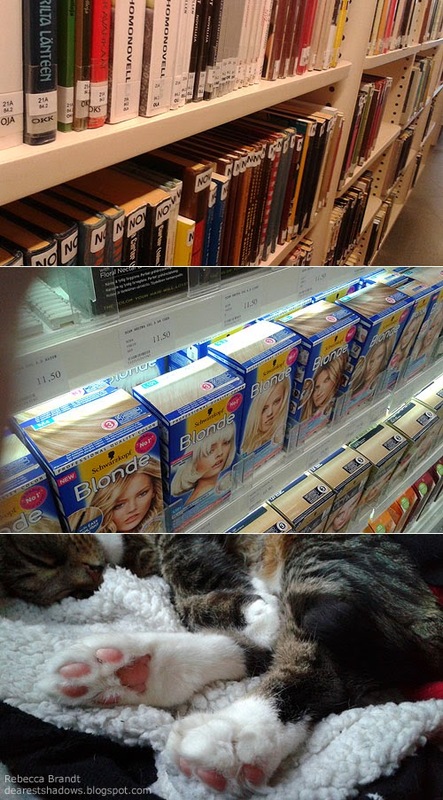 In a library, choosing a bleach and having a beauty sleep with my cat. 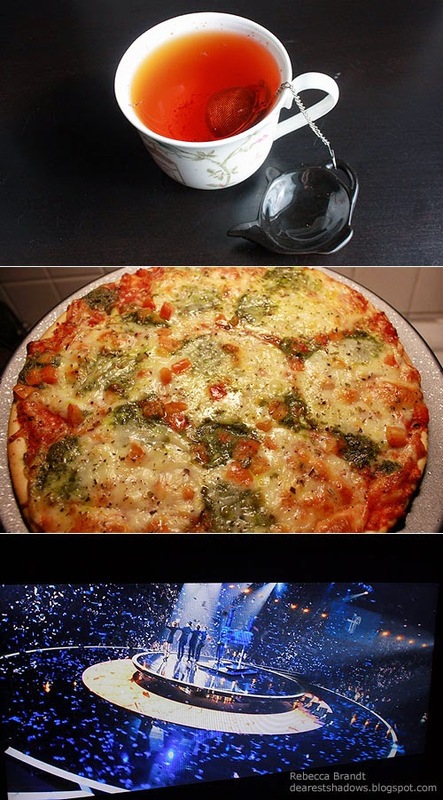 Afternoon Tea (Cherry-Rooibos), lazy evening’s ready-made-pizza and a movie (Now You See Me). 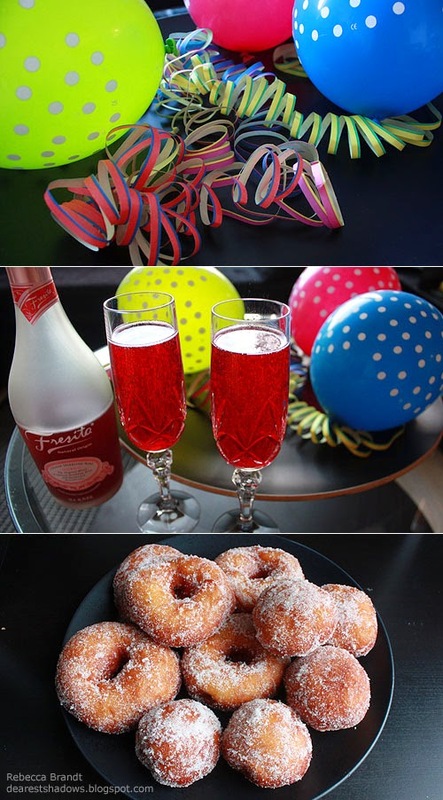 Celebrating May Day, enjoying and vegan doughnuts! A creative day. 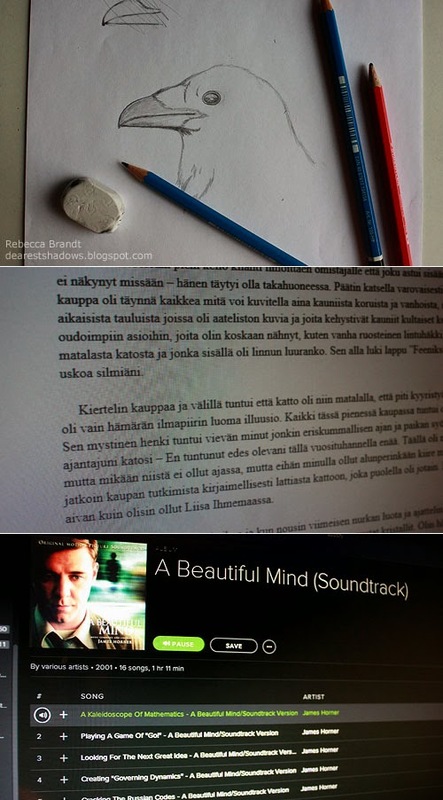 Drawing, writing and listening to music.